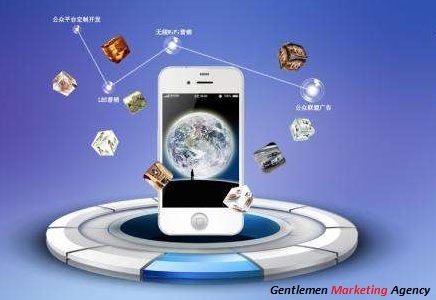 At GMA (Gentlemen Marketing Agency) we understand what it is like for newcomers to enter the Chinese marketplace and not have any idea what is going on. One of the most asked about platforms is WeChat. This article will not only give you insight but provide you with an idea about where and how our Digital Marketing agency can help you. Online shopping is now more popular than ever before. China has more online shoppers than the US, the United Kingdom, and Australia combined, with online sales now at over 16% of total retail sales, according to a report from Frost & Sullivan. The list of products sold online is endless. These products vary from handcraft jewellery, t-shirts, online courses, ebooks and fashion accessories to smart mobile devices, electronic devices and luxury products. You can sell almost everything online as long as you are able to deliver the product or service to the consumer. Working in the e-commerce market becoming more efficient, with the latest technology being easily available at every doorstep. Those who intend to work in this market should learn some basic tactics that may help them throughout their online business. Mobile phones are now designed with a number of features to allow the user to open an online store, view products and even make purchases. The e-commerce market has developed rapidly in China over the last few years. Wechat, is an application that people use to communicate with others via messaging. 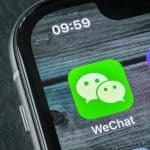 Wechat has introduced an option through which people can sell their products on their platform, as well as pay for their products directly by using WeChat pay. Every year the number of mobile phone users expands drastically, along with those who use their phones for more than just phone calls and messages. The larger market of mobile networks attracts users by adding new options for the customers every year, especially in China. Many foreign companies have entered the e-commerce market of China, but they don’t have any idea about selling on Wechat. WeChat is considered to be one of the best apps to approach or enter the e-commerce market in China. It is not necessary for anyone to have a Chinese bank account, Chinese business registration or any other exporting license in order to sell your goods on this platform. You just need to have open a WeChat store. WeChat gives you the opportunity to have a cross-border payment account. You can easily ship products across the borders and there is no need of possession of a trading license. 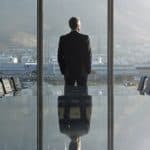 This allows minimal investment and you can gain access to the Chinese market by working with a few Key Opinion Leaders. These steps give you direct feedback about the performance of your business in China. In this way, you can easily plan the next step of investment to be taken for your business. In China, WeChat marketing is a shortcut for advertising. Dive into the greatest phenomenon in the Chinese market and promote your business online. WeChat allows organizations and people to make “WeChat Official Accounts” with the aim to promote their organization or brand. Anyone can follow this account and those that do will then get push notifications from them. Upon entering one of these accounts, you can click a bottom menu connecting to an HTML5 site, which may offer items or products. WeChat marketing is the specialty of attracting followers to your account, getting them effectively engaged with it and finally converting them into clients with the help of the bottom menu that they can use to buy things or connect with you. There are 3 sorts of WeChat authority accounts: Enterprise accounts. Service account and Subscription account. All of these accounts have a special purpose and function. You must understand these accounts beforehand because you can’t change the type of your account after making one. Enterprise account: this account is utilized by the management of organizations. Only internal management is allowed to access this account in order to manage different activities. This account is not used for marketing therefore if a company wants to use WeChat for advertisement and marketing then this account is not for that company. Service account: This account shows up as companions on the list and it can be used to send 4 messages every month. This account can be used for marketing purposes because 4 messages per month to one user is enough to promote a product or service. Subscription account: This account is designed into a particular folder and can send 1 message for every day. This is the most suitable account if you want to use WeChat for marketing and advertisement. All these accounts are very popular as all of them help organizations to provide various services effectively and increase their sales. If you have all these documents and data, then the next step is to do the registration. The registration process is totally in the Chinese language, therefore, you must know Chinese and if you don’t have a strong hold on Chinese then you must install translation plugin or hire someone else to do this job. The first step is to provide an e-mail address and then you will receive a confirmation e-mail. You will have to confirm the e-mail to proceed. The next step is to select the account type which already has been discussed in the previous section. This app is very useful for businesses but the biggest issue is that foreign companies can’t create their account on this app because you must have Chinese business license to create an account. There are three alternative solutions to solve the problem. Register Foreign Enterprise: A business can register itself in China as a foreign enterprise to get Chinese business license. This is a permanent solution but the process is little expensive ad it also took six months to get registered. Big corporation with long-term plans in China usually goes with this option as it allows them to use all features of this tool without any security concern. Get Assistance from Local Companies: WeChat allows every company to create 50 accounts. This feature of WeChat can be used by foreign companies to get an account. There are some Chinese companies out of which sell their account on WeChat for just 500 USD. All the details will be of your business and you will have username and password but the only name of that company will be displayed on the account. Small and medium business usually go with this option as it allows them to create WeChat account quickly. Use Tencent’s Special Process: Developer of WeChat, Tencent has noticed this issue because lots of foreign companies expressed their interest in creating WeChat account but the requirement of Chinese business license doesn’t apply to them. Tencent has launched a special process for foreign companies which requires verification fees instead of license. Verification fee depends on the case but they usually charge 300 USD for verification. For the initial years of the age of Whatsapp, anyone with a smartphone had this app because of its remarkable features. But things have changed for Whatsapp, as WeChat is gaining popularity and solid ground. Many people have started using WeChat now because it is more than a messaging app, it is a part of life. WeChat allows users to make face-to-face video calls by simply press “+” and select “video call” icon under the chat window. To make a call, you select any contact in your cell phone’s contact book and then go for a video call. You can’t call those people who are not in your contact list. This feature does not help in mass marketing but it certainly helps to improve your customer support by allowing some loyal consumers to have a video chat with customer relationship officer. If we want to show some exciting pictures you took and share those memorable moments with your WeChat friends? The feature of Moments makes it possible. You can also customize who can see your pictures in the visibility settings. This feature is like other social media website which allows you to share multimedia objects. You can use this feature for marketing by posting advertisements. You can share them on regular basis to create brand awareness. I always enjoy the voice chat feature. It turns your smartphone into a walkie-talkie. You can use this feature under the chat window by pressing “send message” which will instruct you to “hold to talk.” When you end a sentence, simply release the “hold to talk” button to send your voice to the chat message. 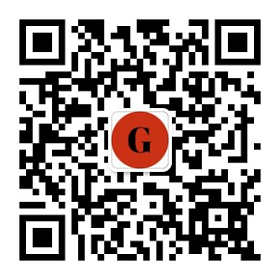 This feature is mainly designed to attract common people to use WeChat. WeChat supports many ways of an instant message, voice message, including text message, walkie-talkie, and stickers. Users can send previously saved or live pictures and videos, coupons, name cards of other users, lucky money packages, or current GPS location with friends either individually or in a group chat. Small businesses can use this feature to improve their customer support services. It allows you to receive customer queries and then resolve them as quickly as possible. A customizable emoticon is one of the favorite features of people in WeChat. Besides a great number of emoji collections that WeChat provides, users can also add their own emotions by easy download from Website, or choose your own photo album/gallery. Opening your own group chat by selecting the button “start chat” and then select your friends whom you want to join in the group chat. WeChat permits you to add 40 members at maximum in the group chat section. Businesses can manage their teams with this feature. Lots of online companies with virtual teams in remote areas of China use this feature to communicate effectively. See who is shaking and also shake your phone at the same time, to speak to people locally and around the world. Shake is an interesting way to find new users and participate accounts. It is also a good time killer. Just be very cautious not to share any of your personal information to strangers. Drift bottle is a cool feature that allows you to meet with strangers, with a little bit of mystery. WeChat oversees the whole process. Someone from anywhere in the world can receive it! The process is anonymous for both sides unless you confirm to make friends with the owner of the drift bottle. WeChat has a brand new feature that permits you to take 15-20 second mini-videos you can share on Facebook, WeChat, and/or Twitter instantly. From a business perspective, you can utilize these mini-videos to show off your products in an interactive way. Or, you can make short videos for sharing fun or engaging content. WeChat has built-in animations that react to particular messages people commonly type. For example, wish someone ‘Happy Birthday’ and you will see birthday cakes rain from the sky. There are also fun seasonal animations during the holidays like New Years and Christmas. If you offer a particular promotion for the holidays, you could type in holiday greetings and watch the holiday spirit rain from the sky. This could be the best (and worst) WeChat feature depending on how you operate it. WeChat enables people to search for other WeChat users located within 100m-200km. If you detect someone at an event that you really want to connect with but you do not get a chance to talk to them, you can search for people nearby and you should be able to detect them if they are on WeChat. If you’re lost, for example, you can send along your current location (pulled from your phone’s GPS) and ask for directions from friends. In WeChat, you can easily share your real-time location with your contact so they can see exactly where you are. If your friend shares a funny picture, video, article or interesting news with you and you want to share it to Facebook, LinkedIn, other Chinese App or email someone else, then you just need to press and hold the file and select from different options. Enter chat and tap on the chat information icon at the top. See for notifications and tap on it disable. Businesses can use this option to avoid disturbance because a popular business may get thousands of messages every day. There is an option in WeChat that allows you to set the start and end time of when you can get WeChat notifications. For instance, if you like a peace of mind at the office, or when you are asleep, you can change your Notification Timing to be deactivated at certain periods. Saving the best for last! This has to be China’s dearest feature! The entire idea came from the Chinese tradition of red envelopes. We give out red envelopes as gifts at every possible event (New Year’s, birthdays, graduations, new jobs, weddings, and even when someone’s in the hospital). WeChat acknowledges our culture and incorporates this custom into the app. Instead of transferring money to your friends and relatives, you can send them lucky money. Web WeChat also provides you to transfer files of less than 10 MB from your computer to your device. Large paragraphs of text can also be sent to yourself. After a quick briefing about working on e-commerce market through WeChat we will now discuss the easy ways of selling on WeChat. As it has been noticed that WeChat has now launched an option which allows an easy access in making online payment. It has also been found that an easy access had introduced to businesses based in China to reach their customers easily. 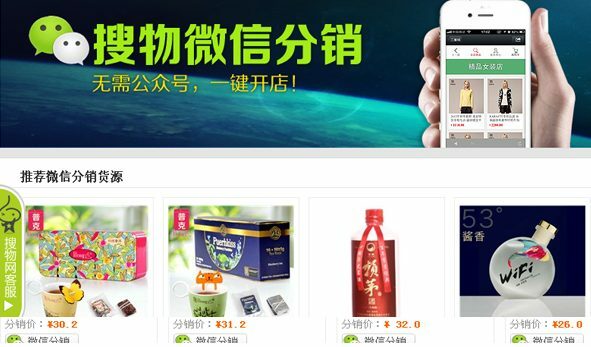 According to this innovation, there are four easy ways that will help in selling of products on WeChat. The most common and one of the easiest way to sell products on WeChat is to create a subscription account. Companies have the authority to launch this account by using a special tool www.Fengling.me which has been designed by the team of WeChat specifically for this purpose. After the completion of this process, the company may start advertising itself and can present their products. To make the process of purchasing easier an e-commerce store has been linked with “Subscription account”. If a customer intends to buy a product by using this product, he is automatically redirected to the payment page. The one thing that is challenging for foreigners is they are not allowed to create their brand pages anywhere but China. Some companies such as ONLY, Sephora and Xiaomi create their online shops in WeChat where they can easily sell their products directly. This option is available under “Service Accounts”. In order to get benefit from this option, the brand should maintain a good plan of building awareness and logistics capability. As a result of this opportunity the majority of products are being sold through WeChat and are rotating through different malls that are controlled by Tencent. A WeChat store is only a site which is upgraded to work better on WeChat and utilize some of WeChat “superpowers” (login, instalments, sharing, and so on… ). So one way is to just form your own particular site and coordinate the WeChat API for a portion of the WeChat-particular functions. This can be awesome, yet it requires a great deal of cash and designers with good information on the WeChat ecosystem. 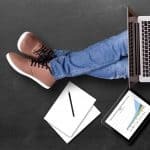 Every person with basic knowledge of computers and internet can’t do it effectively because it has become an art to set a WeChat site professionally. It is recommended to hire a professional for this job. If you can’t afford a professional for the full-time job, then you can always get assistance from freelancers and online marketing companies in China. 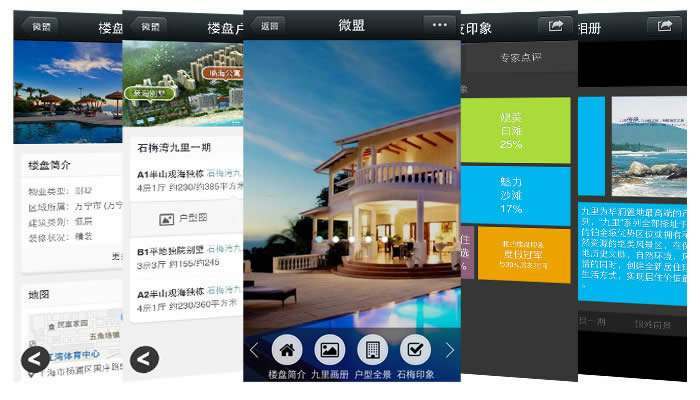 They can easily create a WeChat website and enable all features of this tool so that you can benefit from all of them. Similarly, that there is a considerable measure of platforms to rapidly make online stores (Shopify, Wix, Squarespace, and so on…) there are a great number of ways to make WeChat shops. They allow you to begin quickly, and for cheap. Obviously, they accompany their restrictions; you can just do what the WeChat allows you to do, and customization is restricted. These accounts are a very nice way of advertisement because millions of users browse through different accounts of WeChat in order to buy services. According to one estimate, there are more than one billion accounts in WeChat and 700 million of them are active. Almost 70 million of them live abroad while others are located in China. It means this tool is best to promote products in China. Without the marketing campaign you will not get traffic, follower and sales. Brands have to invest in their Wechat Marketing. Chinese will not buy a product that they do not know. It is not enough to simply have a WeChat account. You need to market your brand in order for consumers to trust it. This is where our agency can help, because e-reputation is the difference between success and failure. You can use different types of text and multimedia content on this app but the most popular content on WeChat is images. More than 50% people on this platform prefer images than any other content, therefore it is the best way to announce your sales and promotional offers. The next most popular type of content is text messages and articles. Due to this reason, businesses should write informative articles about their product, service, and market. People also share informative articles that they consider interesting, therefore a well-written valuable article can help businesses to increase brand awareness. You can also share articles of other accounts to increase your audience. It is relatively easier to share articles than creating an original one but the original content gets more coverage. The popularity of long articles is just 22% but these articles can help you get more serious consumers. When it comes to video content, it is recommended to use short videos of 30 seconds to one minute, because people don’t bother watching long videos. The popularity of short videos is 45%, therefore it is better to have a few short videos in stock to keep your audience engaged. Viral campaigns are inventive campaigns which are shared among clients, either determined by a social impulse or by some money related cause. China is a huge marketplace with a large number of diverse people. The buying power of these people is also increasing and it is high time to launch a business and boost sales. It is very difficult to access all market segments in such a big marketplace but applications like WeChat has made it super easy and quick to approach the majority of market segments quickly and cheaply. WeChat is a very effective tool advertisement and marketing but like search engine optimization it is also slightly tricky to use WeChat for promotion. There are some tricks to get the attention of masses on this platform and promote your products. All of these tricks are discussed in this paper and now you must have enough knowledge to manage your advertisement campaign on WeChat. There is no doubt that proper marketing and advertisement boost sales but keep in mind that it is the quality of product and service which keeps the business alive. This is a complex & competitive arena, you should ensure you speak with an expert first about how best to develop your WeChat Strategy. With growing informational asymmetry in relation to WeChat it’s more important than ever to consult, review strategy and invest funds in the wisest possible way. We are Tencent Official Partner with 5+ years of WeChat experience. We are content & formatting specialists that provide in-depth reporting & analytics. GMA consists of an international team of 42 in China and manages all projects in-house. You want to sell on Wechat and develop your E-Commerce in China, contact us for further explanation and a quotation. NextHow did a Swiss Brand of bluetooth speakers create the right ‘Noise’ in China? One of your best article marketingtochina. The most difficult is to generate traffic, so hard on wechat. Nice article about WeChat. Very interesting. I have my own brand and I want to reach Chinese consumer. 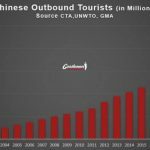 This article is very relevant for people who want to do business with Chinese people. All your tips are good to attract them, Thank you very much. I will read others article about the subject. Very long and detail article. how can I find more information about your wechat agency ? i learned about we chat account from your post. thanks for sharing you nice post. i like this. Hello, I would like to find a wechat Freelancer to build a wechat boot. anybody here can help me?